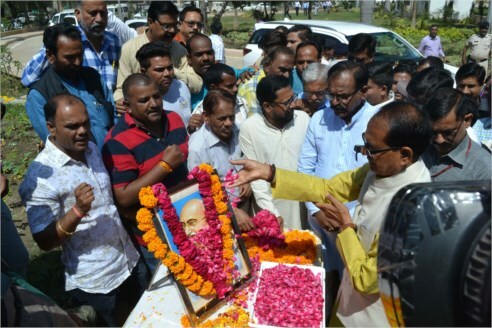 Chief Minister Shivraj Singh Chouhan offered prayers to the statue of Mahatma Gandhi at the premises of old Vidhan Sabha Bhavan and paid tribute on the 150th Jayanti of the Father of the Nations, Mahatma Gandhi in Bhopal on October 02. He also offered prayers to the statue of the Former Prime Minister Late Shri Lal Bahadur Shastri, installed at MVM Square. Describing Mahatma Gandhi as the World’s Messenger of peace, CM Chouhan said that he gave a lesson of truth, non-violence and harmony, which has become more relevant today. Gandhi Ji taught us to follow the path of non-violence and love. He enlightened the society about the needs of sanitation. 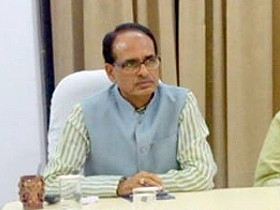 CM Chouhan further mentioned that the whole of India has become swacchgrahi under the leadership of the Prime Minister Shri Narendra Modi. This has given a concrete form to the thought of Mahatma Gandhi. Paying tribute to Late Shri Lal Bahadur Shastri, the Chief Minister mentioned that he was a role model of simplicity and cordiality. 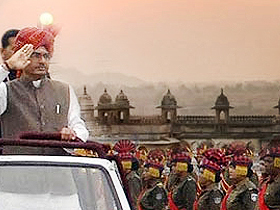 He gave a slogan of Jai Jawan-Jai Kisan to the nation, which is being restated in entire India.